1 What Is Phantom Limb Pain? Approximately 1.7 million people have undergone limb amputation in the United States alone, with 60-80% of these amputees experiencing phantom limb pain. This painful and debilitating condition has often been misdiagnosed as psychological; however, more recent theories have suggested a multifactorial origin. Current evidence reveals that phantom limb pain originates from the brain and spinal cord. In addition to the various limbs of the body, phantom limb pain can be experienced in any area of the body that was surgically removed, including the eyes, tongue, and breasts. Regardless of the area, the pain can be severe for those who suffer from this condition. Must Watch Video – What is Phantom Limb Pain? Phantom limb pain is often described as a burning, stabbing, or throbbing sensation caused by neuropathic post-amputation pain. The pain is also typically described as the feeling of pins and needles. The onset of pain usually begins after the first couple of days following amputation. Acute phantom limb pain following amputation is very common and in most cases the pain decreases over time. However, in cases of chronic phantom limb pain, the prognosis is generally poor. Research has shown that after amputation, a mechanism, known as peripheral-nerve hyperexcitability (PNH), is partly responsible for phantom limb pain. During this process, neurons in the brain can still be stimulated from the area around the affected limb or body part. 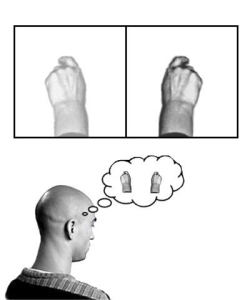 Although the specific body part has been amputated, the neurons still fire off signals, which result in the sensation of pain for the patient. Imaging studies have helped to corroborate this evidence concerning neurological links to the affected limb and areas of the brain. This pain originates from the areas of the brain and spinal cord. However, not all cases of amputations result in phantom limb pain. Many patients simply feel a painless sensation that the body part is still present. Limited evidence has shown that some of the potential risk factors for phantom limb pain include accumulation of scar tissue, damaged nerves, and even psychological factors, such as tangible memories of pain in the affected body part prior to amputation. Since the pathophysiology of phantom limb pain is so complex, management guidelines involve a combination of approaches, such as pharmacologic treatment, spinal cord stimulation, and other complementary therapies. Clinicians may rely on one of these treatment options or a combination of them to help alleviate phantom limb pain. Anticonvulsants: This class of medication has traditionally been prescribed to treat epileptic disorders and seizures. However, anticonvulsants, such as gabapentin, are frequently used to help treat nerve pain. One study revealed that patients who were treated with daily doses of 300 to 2,400 mg of gabapentin showed marked improvement of phantom limb pain. Antidepressants: These drugs are typically used to treat symptoms of depression; nevertheless, they have also proved beneficial in treating phantom limb pain. The role of these medications in pain modulation involves the reduction of pain-associated signals in certain areas of the brain. During a review of several clinical trials, the National Institute for Health and Clinical Excellence concluded that several types of antidepressants were effective in treating phantom limb pain. Opioids: These are commonly used to treat moderate-to-severe pain associated with a wide variety of causes. Several studies involving post-amputation patients who were administered opioid medication revealed favorable results regarding reduction of phantom limb pain intensity. Patients can take these aforementioned medications orally or, in some cases, through the use of intrathecal pump implants. This device delivers pain-relieving medications into the intrathecal area between the spinal cord and its protective sheath. There are also a variety of non-pharmacologic options to treat phantom limb pain. 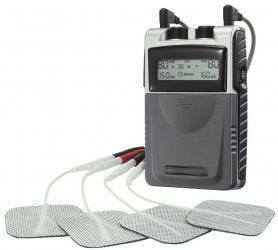 For example, TENS units may be used to provide transcutaneous electrical nerve stimulation to the affected body part. Research has shown that the electrical impulses help to stimulate nerves and block pain signals. Spinal cord stimulation is another option to help reduce pain. This involves the implantation of a device near the spinal column. This device sends electrical impulses to help control pain signals that are sent from the nerves located in the spinal area. Complementary alternatives to treat phantom limb pain include biofeedback and acupuncture. During biofeedback treatment, patients learn relaxation techniques by monitoring certain bodily functions, such as heart rate, blood pressure, and breathing. This allows patients to have more control over their pain. Phantom limb pain is a sensation of pain or a feeling of pins and needles following amputation. Although the exact cause of phantom limb pain is poorly understood, nerve damage and other factors play a role. Regardless of the cause, it is estimated that by 2050, there will be approximately 3.6 million amputees in the United States, which will drastically increase the incidence of phantom leg pain. Therefore, it is important for clinicians as well as patients to understand the treatment options available for controlling phantom limb pain.